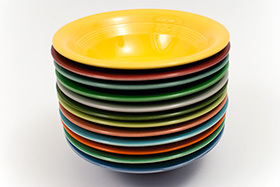 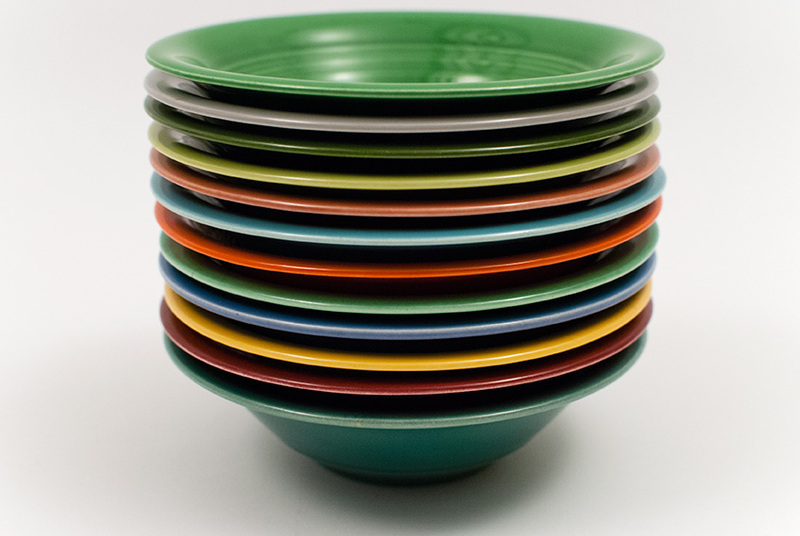 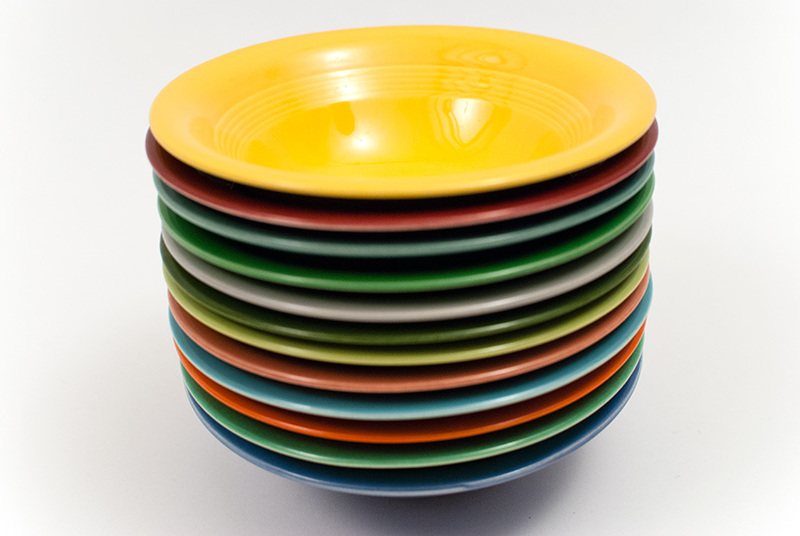 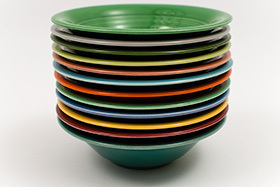 Circa 1940-1959: The Harlequin Pottery Oatmeal Bowl was produced for 19 years and made in all twelve original Harlequin colors. 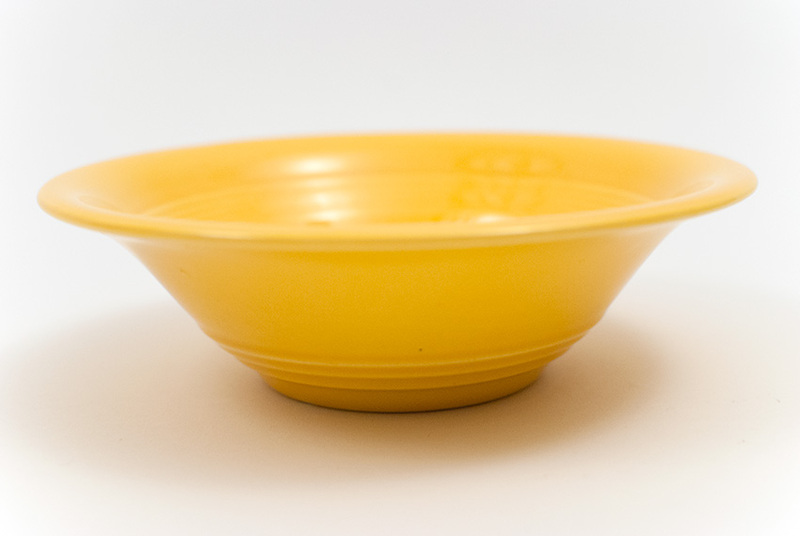 Modeled after the Fruit & Nappy Bowl, it shares a rolled top and same proportional design. 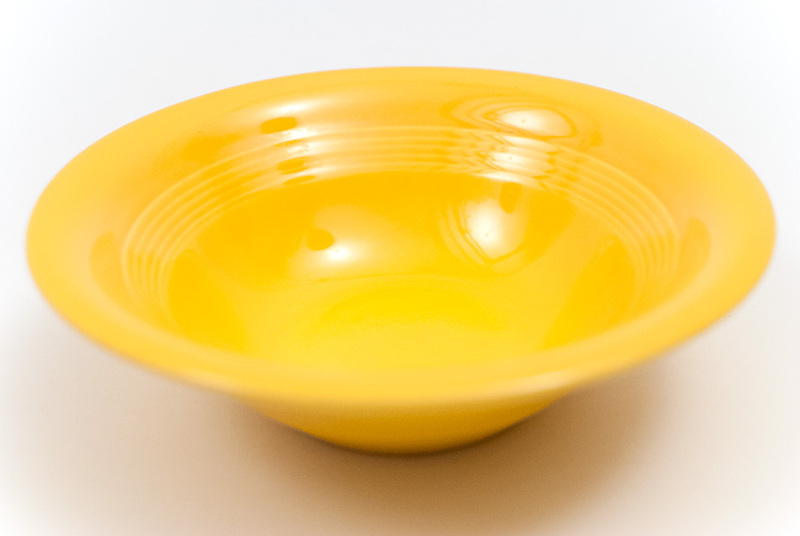 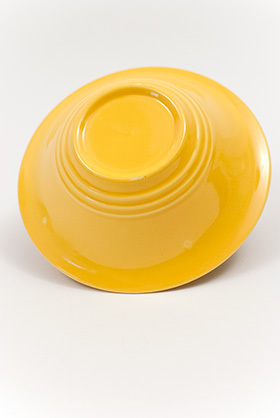 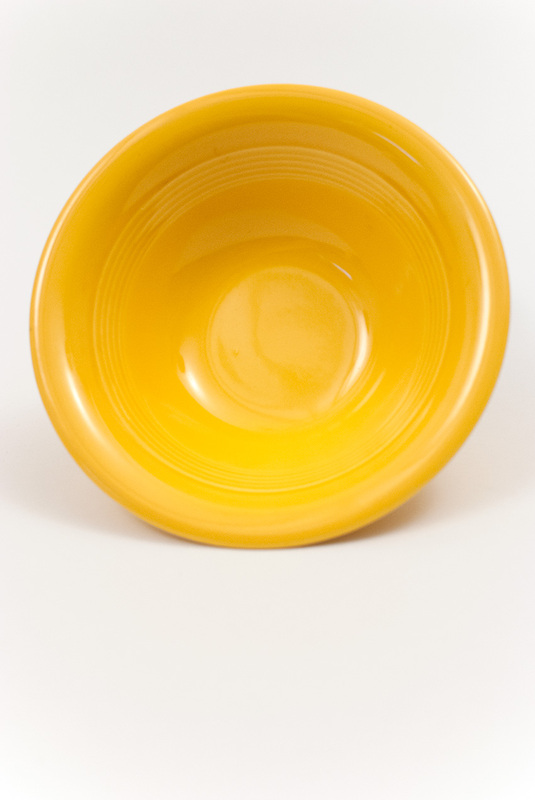 This example in the original bright and sunny Harlequin Yellow glaze is in excellent condition, without damage or use. Measures 5 9/16" w x 1 1/2" h.